Color-coded graphics for quick reference. 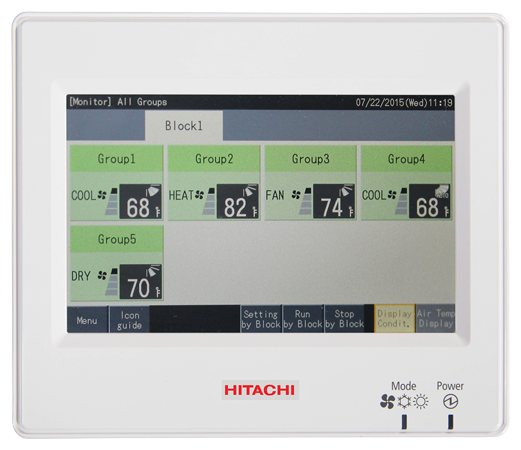 In addition to basic control, such as settings for operation/stop, the operation mode and temperature, the air quality and auto louver can be set. If a problem occurs, an alarm code immediately shows the details of the problem.